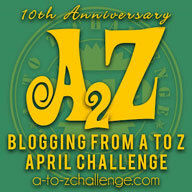 April is here and with it the #AtoZChallenge is also here. This is my second time participating in this cool challenge where bloggers from around the world come together to participate in this challenge of 26 posts each corresponding to an alphabet. 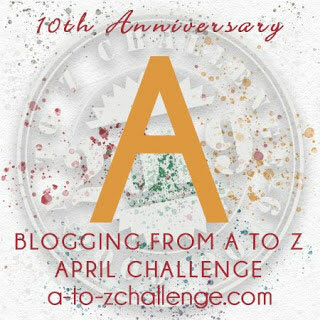 The themes can be different for each blogger but the motivation and cheer of joining in the A to Z challenge is the same! This April I will be sharing with you my Top 26 Favourite Books that influenced my life in some way or the other. These are books that I strongly recommend and why I do that will be revealed as the books are revealed. For the letter A, I have chosen Agatha Christie's masterpiece mystery, And Then There Were None. I still remember the first time I read this book. I was sick, bed ridden and bored out of my mind. An avid fan of mysteries, I had been sure that no one could rival Arthur Conan Doyle in creating mysteries but boy was I wrong! This was the first book by Agatha Christie I read and the rest as they say is history. A true masterpiece, I was mesmerised and spellbound. I have re-read this book so many times that I have lost count but each time it feels like it is the first time! 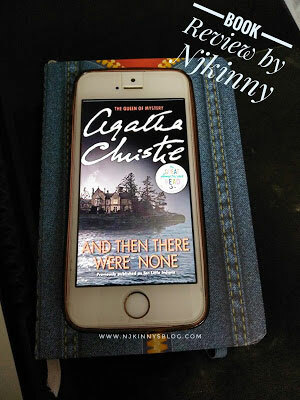 Click to read my #BookReview of And Then There Were None by Agatha Christie and go buy this book like now. You can thank me later! Come back tomorrow to checkout my Top 26 Favourite Books that influenced my life in some way or the other whose name starts with letter 'B'! Click to read my other #AtoZChallenge posts including those based on my previous year's theme of "My favourite Indian comics/cartoon characters." Use #NjkinnysBlog, #NjkinnyRecommends, #AtoZChallenge #BlogchatterA2Z while sharing my A to Z posts. Thank You and let's connect everywhere!